Check our Facebook page for up to date happenings! Celebrated pianist and composer Donn Rochlin will be playing a benefit concert for the Dougy Center. Donn will be joined by Gerardo Calderon, musical director of Grupo Condor and Nuestro Canto. Suggested donation of $10 per person. We will also be passing the basket for an offering during the concert. Proceeds go to support the Dougy Center. Donn is a pianist, composer, motivational speaker, coach, and author. Donn's focus is to inspire and motivate people to achieve their highest creative potential in their work and personal relationships. Donn Rochlin's experience covers over thirty years as a composer/pianist and teacher. Having composed for dance companies ,theater ensembles, and soundtracks he brings an eclectic blend of high energy and soothing melodic music to his event. In addition to original compositions Donn plays a variety of Jazz Standards that are recognized world wide. When appropriate Donn draws on his experience as a Public Speaker, sharing brief stories about the composers he plays as well as his inspirations for his own music. Community of ChristChurch in Hillsboro, OR, in partnership with Washington County Public Health Emergency Preparedness is hosting a community resiliency event on Saturday July 23rd from 10am – 3pm. This event will focus on preparing our community for long term sustainability by sharing community resources and interactive workshops. The keynote speaker is Alice Busch, Operations Division Chief for Multnomah County Emergency Management. Simultaneous Spanish interpretation will be provided. Families are encouraged to attend. ChristChurch has a parking lot that attendees may use. Additional parking will be available at Liberty High School Student parking. Our building, meeting rooms and restrooms are wheelchair accessible. 10 am - Doors open: Visit Vendors! Alice currently serves as the Operations Division Chief for Multnomah County Emergency Management, MCEM. Her role includes managing the office’s training, exercise, duty officer, and community preparedness programs. She is also responsible for ensuring overall operational readiness and the staffing and management of the Emergency Operations Center. Prior to her roles with MCEM, Alice worked as an Emergency Manager for the Department of Human Services. Her work with Human Services involved Mass Care and Sheltering, Continuity of Operations, Disaster Behavioral Health, and Donations and Volunteer Management planning. Alice started her career in the fire service. During her 21 years with the fire department, Alice served as an Emergency Manager, EMT, Public Information and Education Officer, Critical Incident Stress Manager, Fire Inspector and Fire Investigator. 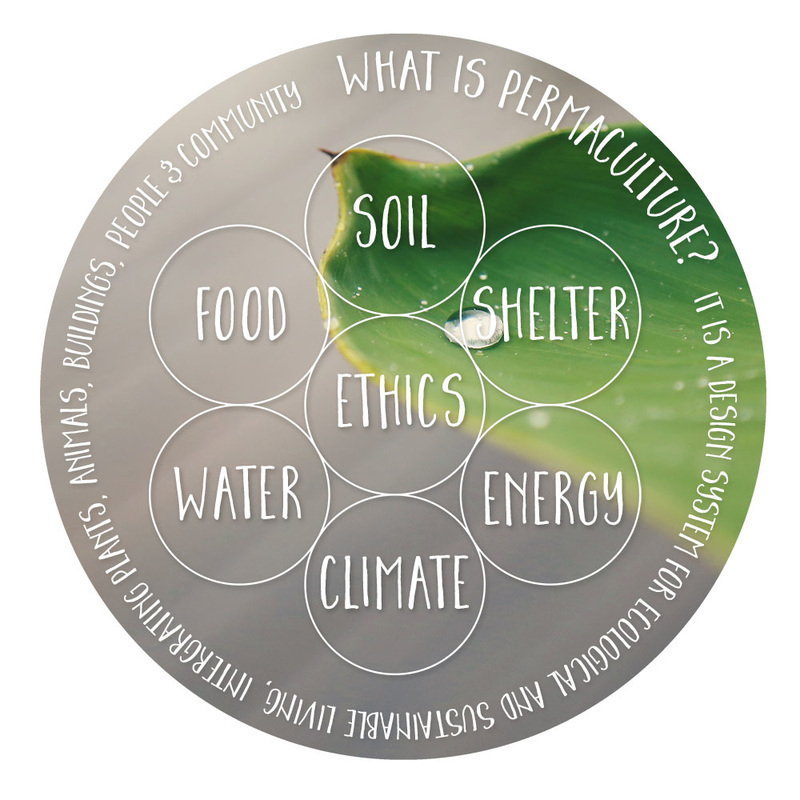 Permaculture, in its simplest form, stems from the words “permanent” and “agricultural”/“culture”. While mimicking the patterns in nature, permaculture is an intentional design language. It seeks to meet human needs through careful ecological planning and regenerative design methods while caring for the earth, her people and always having an abundance to share. A sort-of spicy form of small and large-scale landscaping! ​Julian Dominic owns and operates the permaculture design firm, Witch Hazel Designs and Education. As a professional permaculture designer and teacher, Julian helps to consult and implement resilient and community-driven designs for diverse communities from scales of urban spaces to rural farms. 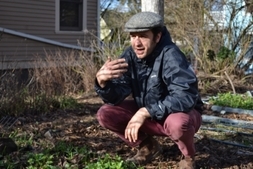 Additionally, Julian uses his skills an instructor for The City Repair Project and as an environmental educator with Portland Public Schools. Through his travels to various land-based cultures around the world, Julian studied Sustainable Agriculture at Warren Wilson College and now spends his time growing, processing and harvesting annual and perennial foods while finding different ways to gather and feed his family and friends. When he’s not growing food or teaching, Julian enjoys milking his goats, making nixtamal, tying cordage, and occasionally singing to old soul standards. For more information on ecological landscape design inquires, visit witchhazeldesigns.com or julian@witchhazeldesigns.com. ​El Taco Yucateco food truck will be parking in our lot and selling authentic Mexican food for lunch. Nixtamal is the old process of cooking corn with an alkali to make it more bio-available and healthy. Stemming from the old Aztec word from the Nahuatl language, “Nixti” = Ashes and “tamal”=corn dough, this process will be hands-on as we explore the historical cuisine and cultural history of corn as a revered figure in history. We’ll be cooking, learning about and eating home-grown, fresh-girdled-tortillas while meeting our neighbors and deepening our passion for community resilience. This session is limited to 20 participants, sign up when you arrive. Jeff Holiman from Phlush will be sharing with us the answers to these questions. For more info on Phlush go here.